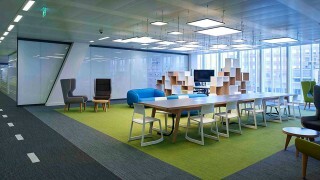 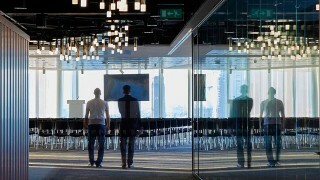 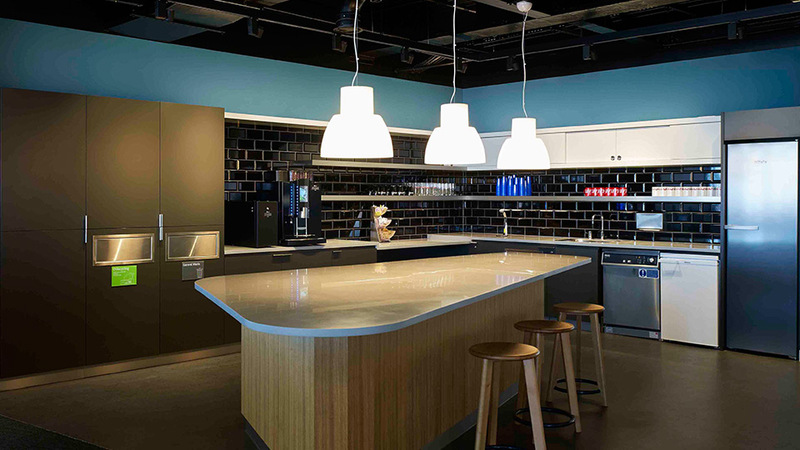 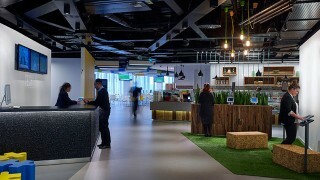 Our job was to do justice to this vision – to create an environment that reflected the distinctive brands of News Corp’s five separate companies (The Times, The Sunday Times, The Sun, HarperCollins and Dow Jones), while providing an atmosphere of collaboration, togetherness and hard work to support common goals. For The Times, we kept things refined with simple, elegant fittings. 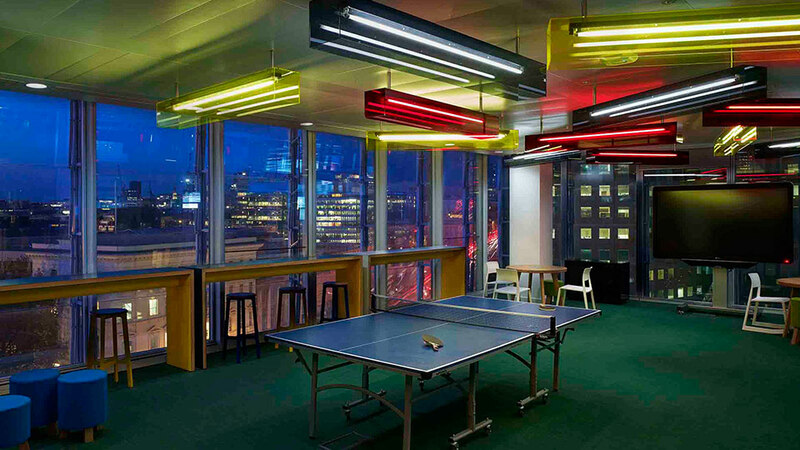 Over on The Sun floor, we opted for more theatrical lighting in addition to fun “feature areas” – such as a star-covered ceiling in the showbiz section, and football floodlight-inspired feature pendants in the tea areas. 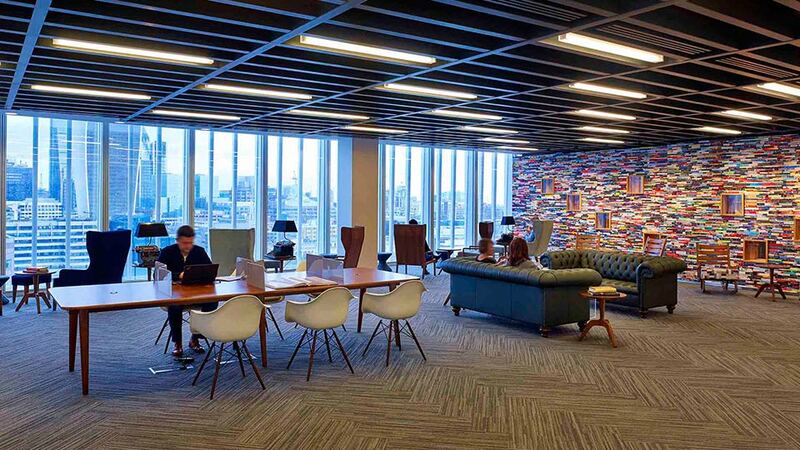 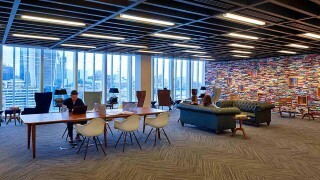 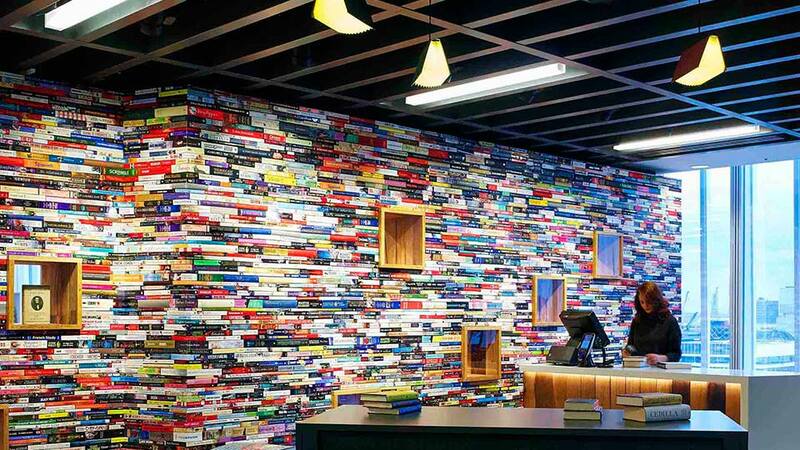 HarperCollins, The Sunday Times and Dow Jones were kitted out in similarly bespoke ways, while the communal library and bookshop were decked out with lights fitted inside old books and typewriters. 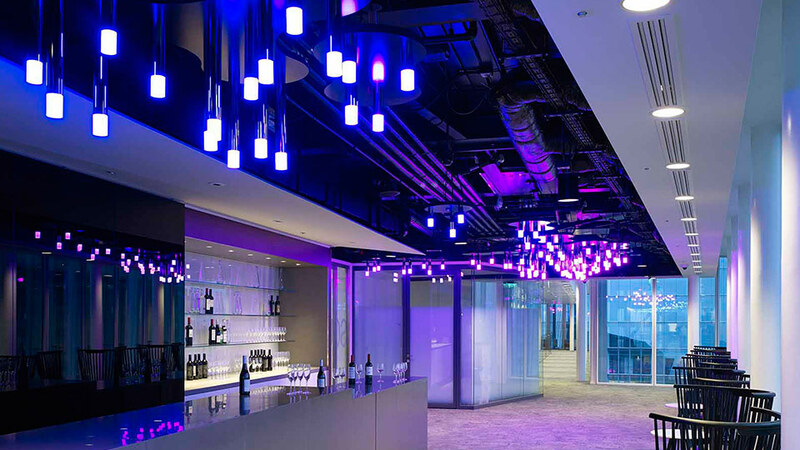 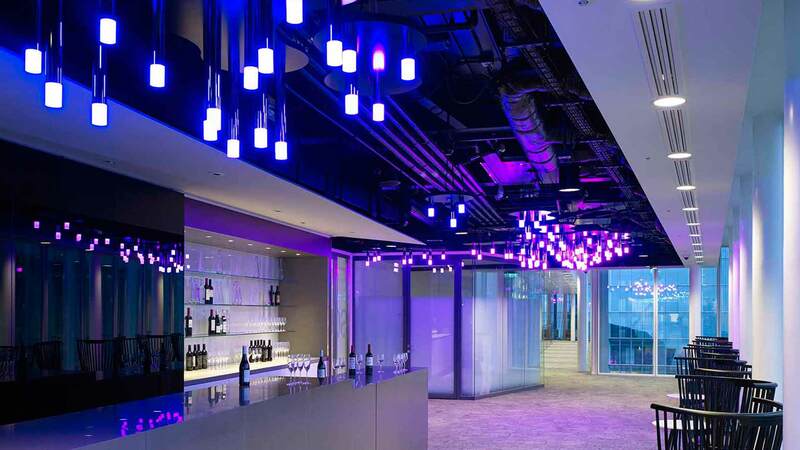 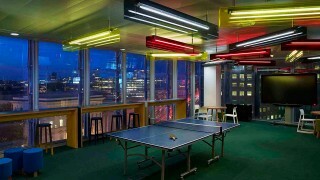 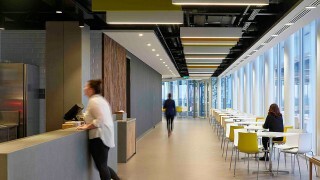 Our architectural lighting design gives each floor its very own unique look, yet the overall feel of the building is one of camaraderie and support. 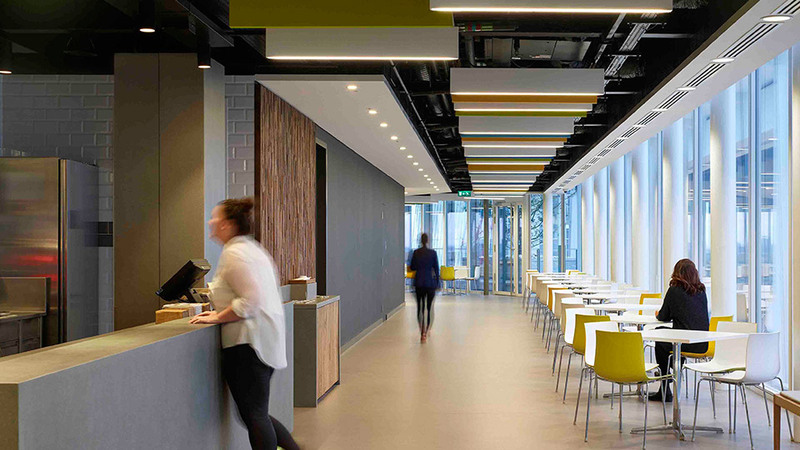 Collaborating with a passionate client who is extremely proud of their building challenged us to provide really creative solutions that were buildable, affordable and maintainable.